For starters, despite being something akin to a bleeding-heart liberal, I’ve always found John Steinbeck’s fiction dreadful — didactic, hollow, flat, and almost devoid of any lasting value as storytelling or social comment. His work to me sounds like the cantankerous rantings of a most disagreeable man (which, perhaps not coincidentally, is what I fear people would think of this blog if I ever made it public — eep). 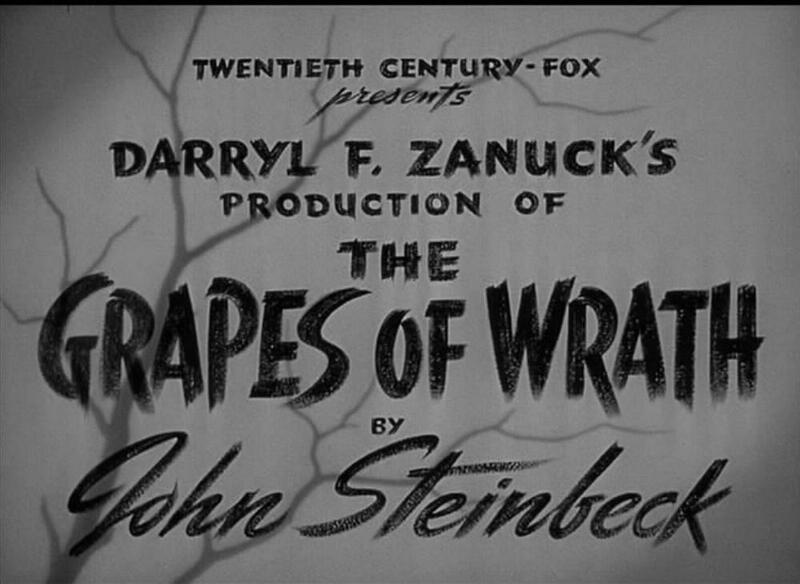 I can back away from that opinion somewhat, at least far enough to admit that it was formed when I was quite young; my mom is a great fan of the novel The Grapes of Wrath and I read most of what my mom loved when I was a teenager. This was one of the few things outside of sci-fi (which she loves) that we parted ways on. There are, being fair, things I love in Of Mice and Men and The Red Pony and hell, the guy wrote Lifeboat (ostensibly), so I’m not irreversibly dour about him, but: the book didn’t seem nearly so incisive or revealing to me as I expected given its reputation, and I suppose what irked me most about it was its odd flatness — I would say “simplicity” but that seems too favorable a term. Steinbeck seemed to begin his work with a central thesis and instead of setting out to disprove it, simply stacked everything in his favor. I don’t question his documentation of squalor in the Depression — I’m actually quite sure things were worse than the book implies. But in storytelling terms, this is lethal, not least because it seems to me to translate to a very simple and privileged viewpoint cast upon the people in it, who become Steinbeck’s mouthpieces. I can’t speak to whether I’d still consider this criticism valid, but on viewing the film for the first time in over a decade, I found that if the novel commits such a crime, John Ford’s film version amplifies it to startling and uncomfortable degree. Far from being the humanist or even socialist screed that was likely designed, the film seems wholly dedicated to paring its human occupants down to a simple monolith of the working poor (and in the background, the monolith of the rich). I have no problem whatsoever with the Joads, the farming family on a forced trek to California for labor, shown having an awful time of making do. My problem is that they are only illustrations, and an opportunity to actually cast a revealing light on purportedly “down home” poor “folks” is missed completely by a director like Ford who should damn well have known better (though he’d repeat the error with How Green Was My Valley one year afterward). The chief virtue I did carry away from the 400-odd pages of Grapes was its unflinching sense of life, its lack of compromise in depicting the objective reality of American life among the disenfranchised. Then and now, that makes a viewing of Ford’s film more heartbreaking because — inevitably, for a film from the studio era — it’s nearly unrecognizably whitewashed, shoehorned into a cubbyhole of cutesy Oakie stereotyping and pandering condescension toward what it all but directly terms “the little people.” This might be most damaging at the conclusion: whereas the novel closes with the powerful image of Rose of Sharon offering her breast milk to the starving man, the film ends with a blandly ideological series of speeches; though it leaves the fate of Tom Joad (a sympathetic Henry Fonda, whose performance is far beyond the material he’s given) up in the air, its ambiguities are trite compared to the real issues facing the world and the country at this crucial time. Censorship neuters the film before it even starts. 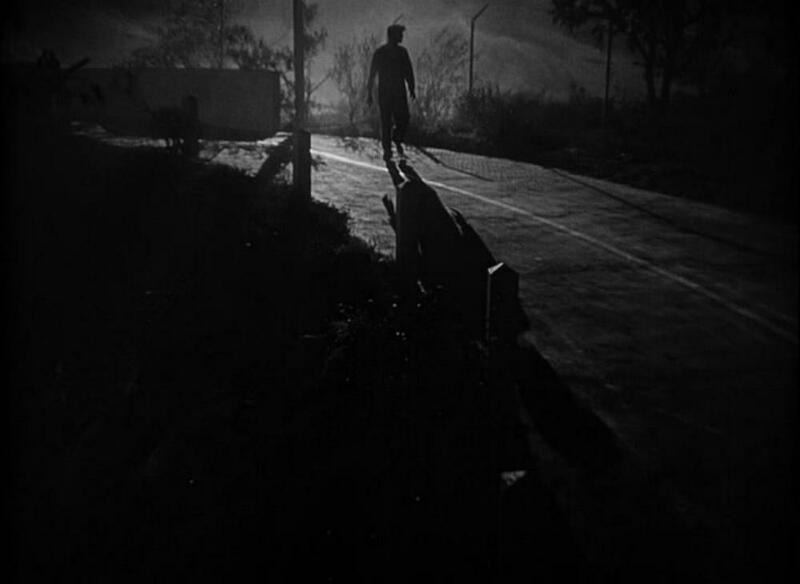 We’re left strictly with the technical virtues of The Grapes of Wrath, which admittedly are considerable; Ford’s sense of cinema is as overpowering with beauty as ever, and here he’s assisted by cinematographer Gregg Toland, surely the major reason to see this film. I didn’t know who Toland even was the first time I saw Grapes; I’d now consider him likely my all-time favorite cinematographer if pressed to choose one. 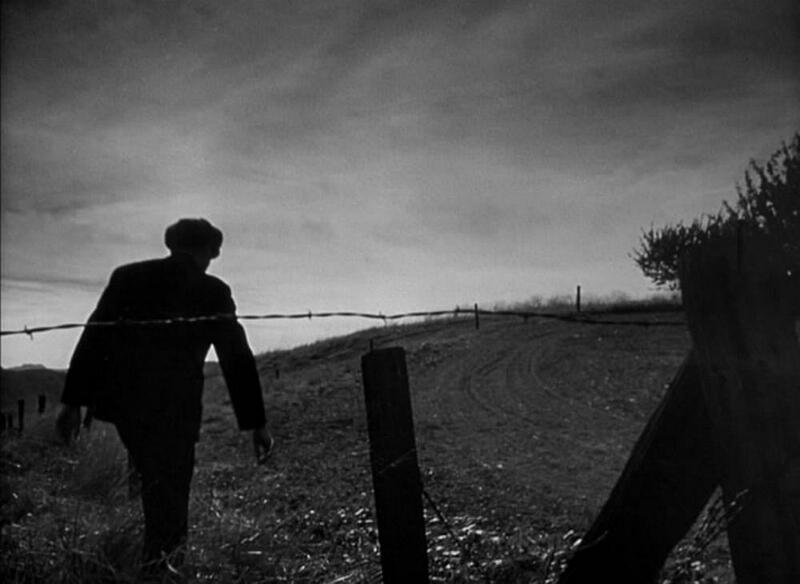 This is a more than worthy if seldom acknowledged feature in his canon; though it toys with deep focus like Citizen Kane and The Best Years of Our Lives, it opens up a much broader world than either, with eerily desolate landscapes and achingly gorgeous scenery anchoring the bleakness of the photoplay being acted out in front of them. Of course, its visual sumptuousness might count for more if there were more time to enjoy it; the action and dialogue scenes are sadly too heavy on closeups for Toland’s best work not to remain a rare treat in the body of the movie. 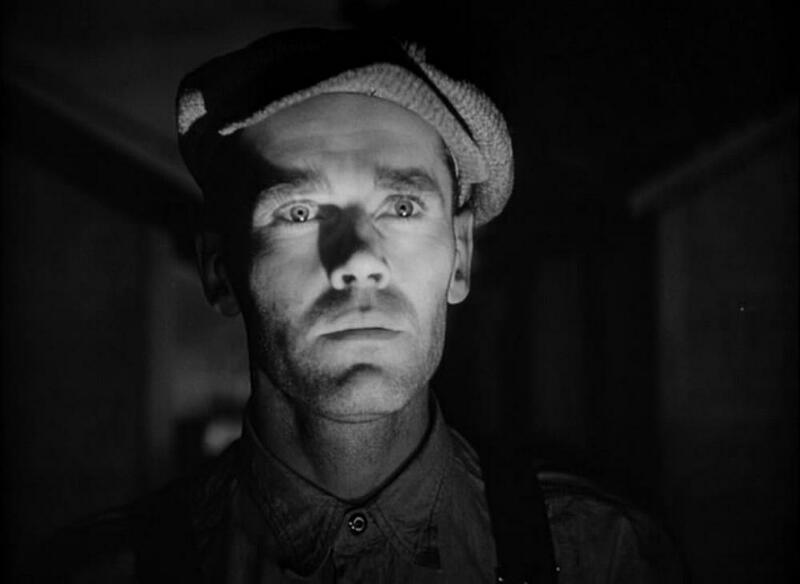 Our other pleasure here stems primarily from the presence of the great Fonda, whose stoic variation on a traditional movie machismo is agreeably multilayered even if the actual varieties of expression in his character are not; the script calls for him to look constantly baffled and sorrowful, and he compensates by thinking of about two hundred ways to look baffled and sorrowful. 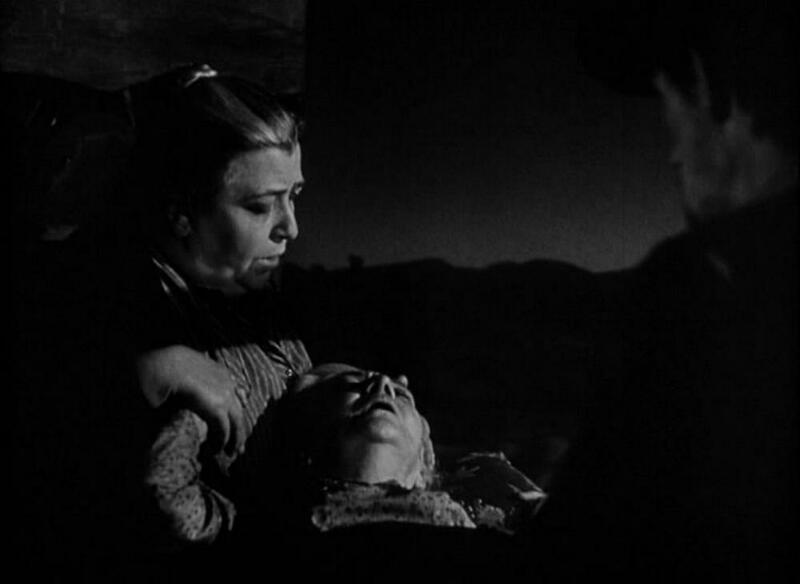 The only performance remotely worthy of his is that of Jane Darwell as his mother, a lovely-to-the-core woman unfortunately saddled with far too many mouthfuls of silly dialogue and a dull emptiness in emotional range. Fonda carries the film nearly on his own; when he’s gone from the frame, we suffer mightily. He provides as well the only relief from all the talking-down Ford, Steinbeck, and screenwriter Nunnally Johnson are guilty of here; again, there’s no issue with presenting an oppressively bleak portrait of the Joads’ lives, but to render the Joads themselves so docile and one-dimensional and saddle them with the ugly, toothless rubric of the purportedly simple-minded is to fall victim to the same sort of prejudice that the characters are meant to encounter in the novel and film. Of course it means well — oh lord, how it means well — but as we see so often even with modern white privilege, meaning well is often nearly as lethal and dishonest as the alternative. If the film’s tsk-tsking attitude weren’t uncomfortably Hollywood enough, we have as well the constant urge to make everyone speak in speeches, to stuff mannered writerly nonsense into the mouths of characters we’re otherwise expected to believe are dumb as posts and don’t we gosh darn love ’em for it. Alfred Newman’s treacly score adds to the sense that what we’re really seeing is staunch conservative Darryl Zanuck’s idea of what good-hearted pinkos wanted to see at the movies. And the money, of bloody course, rolled right on in.